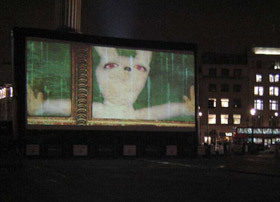 From record-breaking drive-in movies to city centre cinemas, QED provides the very best quality of projection for all types of outdoor film screenings. 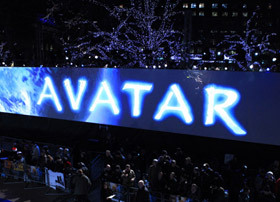 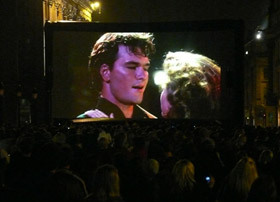 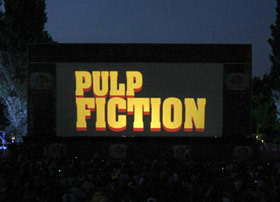 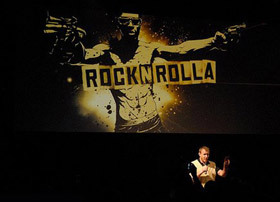 Notable high profile outdoor film screenings include the Cambridge and London Film Festivals, as well as the world-record beating largest ever movie projection at Pinewood Studios in 2009. 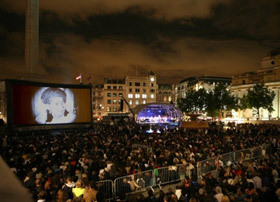 QED has all the equipment and expertise to guide you from the early planning stages through to final technical delivery. 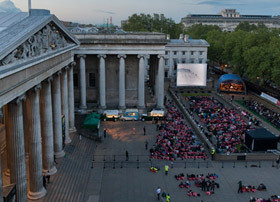 QED offers a complete service for all outdoor film screenings, from the supply of xenon projectors, inflatable projection screens and cinema sound systems, through to full technical project management. 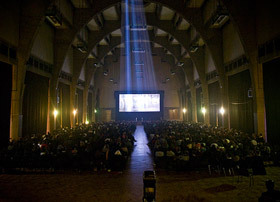 To create a cinematic experience outside the purpose-built environment of the cinema usually presents many practical challenges - low ceiling heights, restricted viewing angles, lack of projection space and weight loading issues are common problems, so ingenious technical solutions often need to be found. 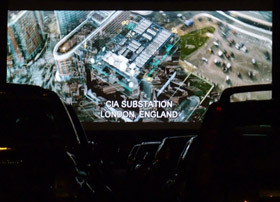 QED has screened films in nightclubs, arenas, theatres, abandoned buildings, indoor car parks, warehouse spaces and has all the equipment and experience to provide the appropriate technical solution to suit all situations. 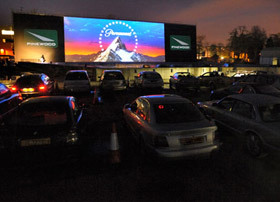 For more information please call us on 01707 648800 or click here to email us.